Almost everyone will experience a painful leg spasm at some point. These leg spasms, sometimes called “Charley horses,” are a painful contraction that can last from a few seconds to several minutes. Residual pain can linger for days. Leg spasms most often occur during intense activity, such as running, or when a person is just dozing off or waking up. The muscles of the hands, arms, abdomen, or along the rib cage are all prone to spasms, but most muscle spasms occur in the foot, calf, or thigh muscles. Sometimes, especially after an injury of some sort, these painful leg spasms can become chronic. The occasional muscle spasm isn’t cause for great alarm. A multivitamin, increased fluid intake, and proper warm-ups before exercise can often prevent more spasms. Avoiding overexertion from too much exercise can also prevent spasms. Although most leg spasms aren’t serious, some might call for medical intervention. Sometimes, muscle spasms can have deeper causes that make them more difficult to treat. Injuries to the head or spinal cord can sometimes lead to frequent muscle spasms. Additionally, some medical conditions, such as cerebral palsy or multiple sclerosis, can be accompanied by regular spasms. When muscle spasms occur frequently despite efforts to prevent them, or begin to interfere with daily life, it might be time to speak to a pain doctor. A pain doctor may be able to recommend some dietary changes you can make to reduce leg spasm or exercises you can do to reduce their severity or frequency. Or, they may be able to suggest medications, like muscle relaxants or even Botox, to help you find relief. Because a muscle spasm in the leg is a painfully strong contraction of the muscle, it makes sense that a muscle relaxant might help by relaxing the muscle. However, the name muscle relaxant is somewhat misleading, because this group of drugs doesn’t act directly on muscles. Instead, most muscle relaxants act on the central nervous system, which includes the brain and spinal cord. Muscle relaxants can almost be thought of as entire-body relaxants. Indeed, the most common side effect of muscle relaxants is drowsiness or sedation. However they work, muscle relaxants can provide relief from painful leg spasms. There are two types of muscle relaxants that can relieve leg pain from spasms. The first type of muscle relaxant is classified as an antispastic. These medications decrease spasticity, that is, increased muscular tone and exaggerated tendon reflexes. Chronic spasticity is often an effect of neurological disorders, such as multiple sclerosis or a spinal cord injury. As a result, antispastic muscle relaxants are generally prescribed for individuals whose muscle spasms are neurologically caused. Baclofen and dantrolene are both antispastic medications. Some research suggests that antispastic muscle relaxants’ effectiveness may be limited as compared to antispasmodic muscle relaxants. Antispasmodic muscle relaxants, on the other hand, work by reducing the number of spasms experienced, which in turn reduces the pain caused by spasms. Although it’s not clear exactly how antispasmodic muscle relaxants work, they have been proven successful at treating chronic pain from frequent muscle spasms. Antispasmodic muscle relaxants are best for spasms caused by musculoskeletal issues. Non-benzodiazepines and benzodiazepines are both classified as antispasmodic muscle relaxants. The most common side effect of both antispastic and antispasmodic muscle relaxants is drowsiness. Because of this, physicians might not prescribe muscle relaxants to people with jobs that require the use of potentially dangerous equipment, like pilots or construction workers. If you’re taking a muscle relaxant for the first time, do so at home. This way you can see if the muscle relaxant will cause a serious sedative effect. In some cases, individuals with a leg pain condition that could benefit from traditional oral pain medications, such as non-steroidal anti-inflammatory drugs (NSAIDs), might have another condition that makes the use of NSAIDs impossible or unwise. For example, NSAIDs can cause bleeding or damage to the liver in some cases. Someone with liver disease or a history of ulcers should avoid NSAIDs. For these individuals, muscle relaxants can provide a viable alternative. Another surprising treatment option for muscle spasms is Botox injections. Clostridium botulinum bacteria produce enzymes called botulinum neurotoxins. The word Botox is a shortened version of this enzyme: Bo from botulinum and tox from neurotoxins. Botox enzymes attach to nerve endings, preventing the release of chemical transmitters that tell a muscle to move. This causes temporary paralysis of the injected muscle, which prevents muscle spasms. Temporary paralysis may disrupt neurotransmitters that send pain messages. Therefore, not only can Botox prevent further painful muscle spasms, it can also potentially relieve pain from previous leg spasms. It usually takes two to four weeks for a Botox injection to take full effect. Research on the use of Botox to treat painful leg spasms is somewhat limited. However, findings have indicated that it can, indeed, relieve pain. Botox’s effects aren’t permanent. You can get injections every three months. Because it treats the symptoms rather than the cause of pain, many physicians also recommend some form of physical therapy along with Botox injections. Another related option is trigger point injections for musculature pain. Do you suffer from frequent and painful leg spasms that could benefit from muscle relaxants? To find a pain doctor in your area who can help diagnose your condition and provide treatment options, click the button below. Hi Sandy — Thanks for stopping by the blog! We definitely recommend asking your pain doctor for help with leg cramps at night. Hi Brad — thank you for sharing your story here. We can’t provide medical advice, but recommend you talk to a dedicated pain specialist for help, if you’re not already doing so. We also have a chronic pain support group, where you may be able to find suggestions from people who are also struggling with the same condition: https://www.facebook.com/groups/11864244228/. Hope that helps! Also, some drug manufacturers have co-pay assistance if it’s a name brand. Of course Keli! Thanks for coming by the blog. Really helpful blog post for leg spams suffering patients thanks. Football players drink 48 ounces of pickle juice… That is all. I had a miceodiscectomy and 3 years later the spasms and charlie horses have me up 4 to five times a night. All my blood work came back normal and baclofan is not helping. I need another micodiscectomy with neurolysis but my insurance keeps. keeps denying it. Any suggestions to relieve this? Hi Ashley — We are so sorry to hear that you’re suffering. We do have a longer post on this subject here: https://paindoctor.com/how-to-get-rid-of-leg-pain/. Unfortunately, though, we can’t offer specific advice on the blog. 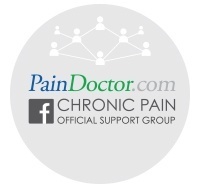 We do recommend looking for a pain doctor in your area who can help — they can help diagnose the condition and offer treatment strategies: https://paindoctor.com/find-your-pain-doctor/. Hi there — Unfortunately we can’t answer specific medical questions on the blog. We recommend reaching out to a doctor in your area: https://paindoctor.com/get-relief-now/ or https://paindoctor.com/pain-management-doctors/. Dear Pain “Doctor”…If you cannot offer medical advice or answer specific medical questions on this blog, then you are wasting the time of people who are coming to this blog for your help. Advising us to visit our healthcare professional or pain management doctor is a patronizing response when, in most cases, we have already done so with no relief of symptoms. So, thanks for nothing. Hi Melissa — We understand how challenging and life-changing chronic pain can be. Working with multiple doctors just to get a diagnosis only adds more frustration. However, on our website alone, it would be unethical and irresponsible for us to attempt a diagnosis or give treatment advice to patients commenting with questions. Without knowing their previous history, symptoms, and other factors, any diagnosis or treatment suggestions we could give may be misguided and potentially dangerous for some. We can point to other general discussions about their issues, but can’t provide any help beyond this. 15 yrs ago I was prescribed Soma for sciatica it worked. In 2015 I had an abdominal aortic aneurysm and underwent 14 hrs emergency surgery. I was cut from pubis to sternum and groin to knee both legs. I was stapled. Since then I get rolling muscle spasms in my abdomen and inner thigh. I literally jump out of bed the pain is so intense lasting 20-30 minutes I can’t walk. Massaging, slapping, punching has no effect. Well that doctor retired 2015, the next doctor I was referred to moved to Florida 2016 his files were passed to my current doctor who cut my somas 50% without reviewing my file. In the 2yrs. I’ve been with him I’ve been flagged by walgreens for trying to refill early-I saw my dr. every month and got a new rx as he did not give refills. Then last month I went for my monthly visit and he made me sign a paper promising I would not get pain pills from other doctors and then I had to do a UA. I don’t do pain pills just somas. In the almost 2yrs I’ve been with him-my diabetes uncontrolled, heart (trip bypass) and kidney (acute necrosis from AAA) function dropped and I’m a doctor shopper, soma seeking addict.